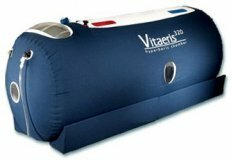 Hyperbaric Oxygen Therapy is an awesome therapy to help improve athletic performance, improve oxygen to damaged tissues after a sports event or car accident, those who suffer from multiple sclerosis, Autism, Parkinson's and many others. Because each and every condition and therapy offered is so unique, a consultation with Dr. Anderson will help to ensure that the proper treatment is given with accuracy to the number of visits that are needed for recovery. With each treatment, not only do our patients see and feel the progress that is being made but we make every effort to ensure that the patient is properly educated in their condition. It is very important to us that you understand why you are in our office and it allows us to instill within you the confidence that healing will replace any pain or discomfort previously felt.